Founder of American Tribal Style® belly dance. Suhaila Salimpour What more can you say... It's Suhaila! ARCANE Dimension Arcane Dimension are Teresa Camp & Katie Staniszewski on vocals and Jarek Tatarek on guitarviol and acoustic guitars. Kuhl Jewels ~ bindis and more for the dancing soul! 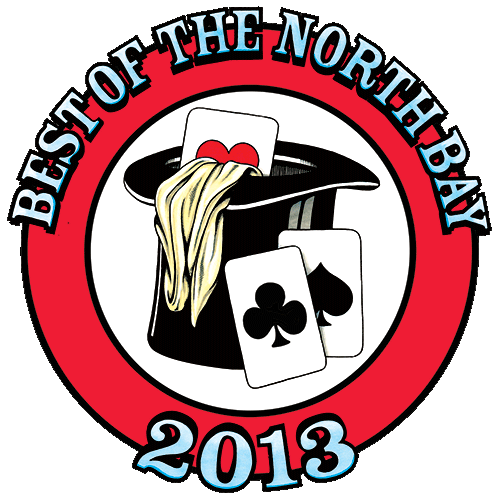 "Best Performing Dance Company - Sonoma County"
Meet Seba of WildCard Bellydance. I had a delightful interview with the vivacious director of WildCard Belly Dance. Seba talks passionately about her love of the scimitar and future workshops/classes she will be teaching. In addition to her instructional series on youtube. Take a look-see and learn some new moves or practice some old ones, WildCard Bellydance-Tribal Style Group Improv Belly Dance.
" Second stop was Mounts Family Winery - Dry Creek's up and coming 3 generation growers turned small production vintners. The wines and hospitality are wonderful, and this time the Mounts had outdone themselves. The simple Mounts crushpad was transformed into a Persian adventure, complete with Belly Dancers... I have to give the Mounts the Simple Hedonisms 'Best of Event'. A video of the Belly Dancer's is here. " *FatChanceBellyDance®, FCBD®, ATS® and American Tribal Style®, are federally registered trademarks of FatChanceBellyDance, Inc.